One of the most recent stakeholders initiatives to improve the quality of film production in Nigeria was the 2011 iREPRESENT International Documentary Film Forum (iREP) collaborative workshop with the Public Affairs Section (PAS) of the United Consulate in Lagos, on Story Telling, Scripting and Content Management, an industry clinic targeted at professionals within the various disciplines of film making. 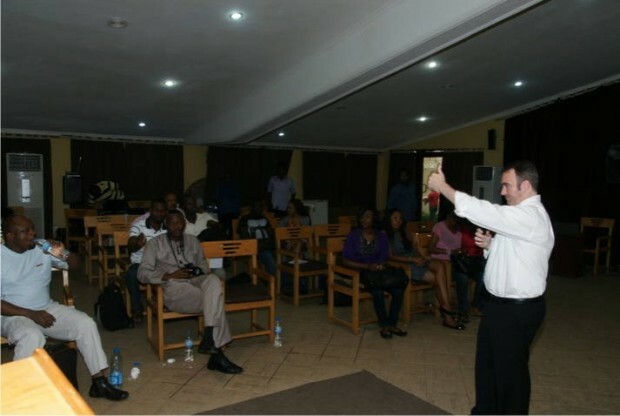 Michael Gozzard, a multiple-award winning script writer and content manager from Hollywood was the instructor at the one week workshop held at the Terra Kulture, Tiamiyu Savage Street on Victoria Island in Lagos. The interactive workshop ended on Friday September 2, 2011. 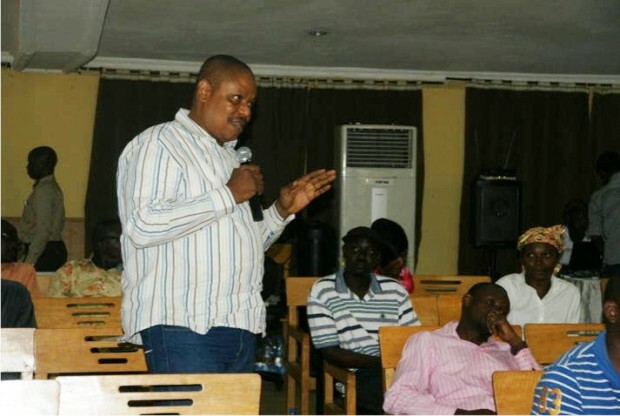 Gozzard, who wrote and produced the famous Hollywood film, Pride took the 32 participants through intensive sessions on general introduction of the dynamics of Scriptwriting and Storytelling. The Participants were nominated by their various Guilds. 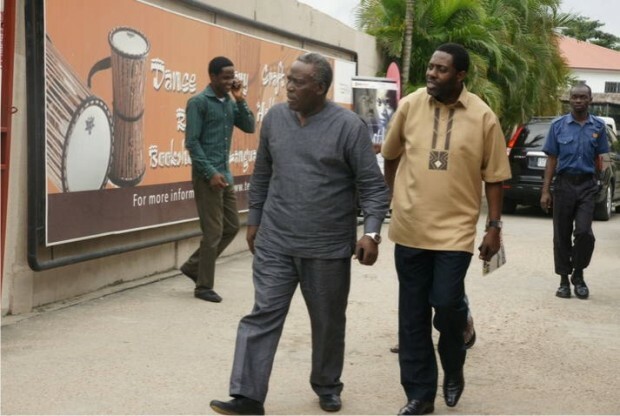 Veteran actor, Olu Jacobs with iREP;s Executive Director, Femi Odugbemi at the end of one of the sessions. The Workshop is in pursuit of iREP’s commitment to encouraging Training and Manpower Development in the local film industry aside organizing Exhibitions and Conversations around the Nigeria and African film industry. 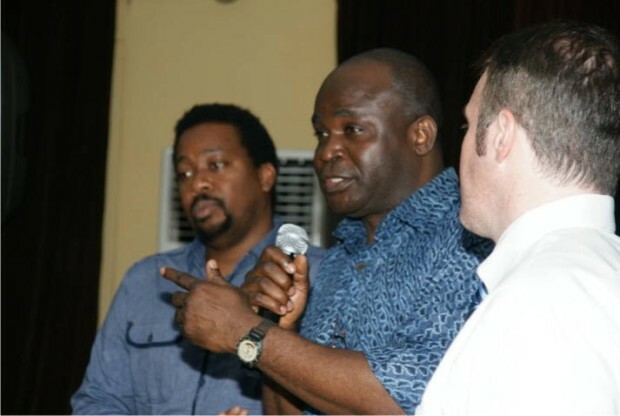 Michael Gozzard, Femi Odugbemi, Makinwa Soyinka and Bene Uche, Senior Cultural Officer with PAS. Hope Obioma Opara, Publisher of Supple magazine and President, Eko International Film Festival and Busola Holloway, President of Independent Television Producers Association of Nigeria (ITPAN). 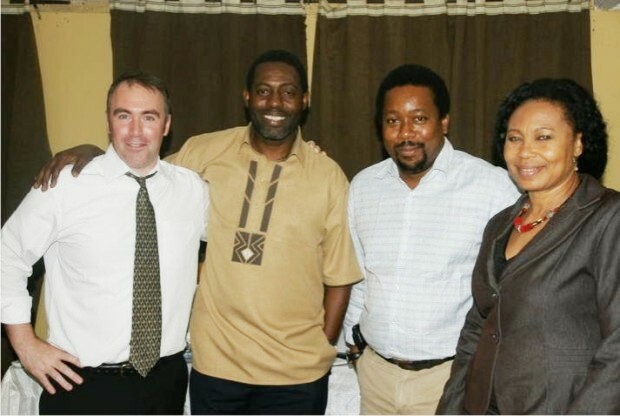 iREP’s executives Makinwa Soyinka, Director of Lagos Film Office and Jahman Anikulapo, The Editor of The Guardian on Sunday with Michael Gozzard. This is the one of iREP’s collaborations with various agencies of culture production and promotion to encourage flowering of artistic ideas and development of the culture sector. 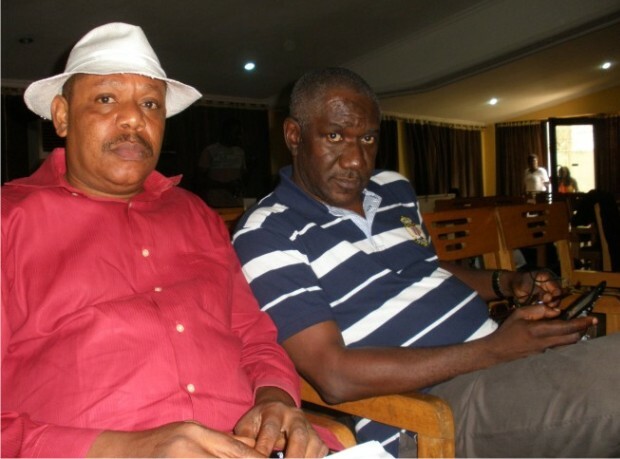 Other collaborations include with Ka-Yalema Productions, USA; DV WORX Productions, Lagos; Lagos Film Office; Goethe Institut, Lagos; Real life Festival, Ghana; Committee for Relevant Art, Lagos; Freedom Park, Lagos; Nigeria Film Corporation, NFC, Jos; Nigeria Film and Video Census Board, NFVCB, Abuja; Lifehouse Centre, Lagos; British Council, Lagos and others. Hope Opara commending the workshop. iREP is a touring film festival established by three Nigerian culture figures (Femi Odugbemi, Jahman Anikulapo and Makin Soyinka) to promote independent documentary films and global awareness about the role of documentary films in deepening participatory democracy. 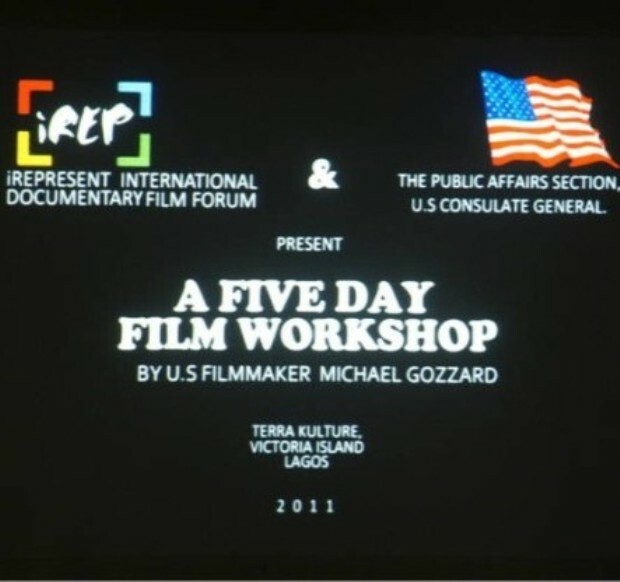 iREP is conceptualized to create platform of awareness and expression for aspiring and practising filmmakers who are creating socially relevant documentary films to positively impact our world.It is a co-promoter of the West African Documentary Film Forum with the REAL LIFE Festival based in Ghana/USA/France. Some of iREP’s other objectives include creating a platform of awareness and expression for aspiring and practising filmmakers, and providing a forum for people’s ingenuity to be showcased without prejudice to style or subject. iREP’s maiden international Documentary Film Festival held in January 2011 over a period of one week with participants from Nigeria, Sudan, United States, South Africa, Germany and France. Preparation is in top gear for the 2012 edition, also on the conceptual theme: AFRICA IN SELF-CONVERSATION. iREP has also been involved with a monthly screening programme around key Art and event Centres around lagos i.e Freedom Park, Broad Street, Lagos and LIfehouse in VI, Lagos — with plans to extend programmes to other major cities in the country. iREP, in collaboration with the Goethe Insitut lagos and the Nigeria Film Corporation, NFC, will this month begin a Monthly Film Screening/ Exhibition programme at the Nigeria Film Corporation Lagos Office, Obalende, Ikoyi, Lagos. This entry was posted in Featured, Film Festivals, News, World by admin. Bookmark the permalink.